#DearAndy: Did the committee take conference strength into account? Did the playoff selection committee take conference strength into account? Plus, more college football questions and answers in #DearAndy. • If it’s Texas and Oklahoma instead of Baylor and TCU, does the Big 12 get a team in the playoff? • Should Notre Dame consider playing 13 regular-season games since the committee seems to like an extra game? From @nlgraham1: Playoff selection committee chairman Jeff Long said relative conference strength was not a criterion considered. Is this insane or completely insane? It’s not insane. It’s misleading, and if Long had to address this topic again he would likely try to answer the question a little more accurately. The committee considered every team’s complete résumé, which means the committee had to consider the relative strength of the league schedule that each team played. You can’t consider Alabama without considering the relative strength of the SEC. You can’t consider Oregon without considering the relative strength of the Pac-12. What makes the committee’s method of deliberation different -- and better -- is that it considers conference strength through the lens of only the opponents included on a team’s schedule. For example, Alabama’s SEC schedule (East opponents: Florida and Tennessee) was not as difficult as Arkansas’ SEC schedule (East opponents: Georgia and Missouri). The Big 12 is the sole league in which all schedules are created equal, so a blanket statement of “Conference X is [insert adjective here] and therefore this team is [insert same adjective here]" isn’t accurate for the other leagues. But to say the committee isn’t considering conference strength isn’t quite accurate, either. From @KilroyFSU: How can we explain Mississippi State jumping Michigan State in the final rankings when, if anything, the conference title game strengthened Sparty’s profile? I learned the answer to this on Tuesday night after talking to some people who were privy to the committee’s deliberations. I had the same question, because it seemed awfully odd that the Bulldogs jumped the Spartans when neither team played on Championship Saturday. As any TCU fan knows, the committee basically ripped up all the previous rankings and started fresh last weekend. And when the committee began to deliberate again, it came to the conclusion that Michigan State’s high profile was based more on two good losses than on any good wins. The Spartans lost by 19 points at Oregon on Sept. 6 and lost by 12 at home to Ohio State on Nov. 8. Both of those teams made the playoff. But Michigan State’s best win came against Nebraska, which went 9-3 but didn’t beat anyone particularly good. 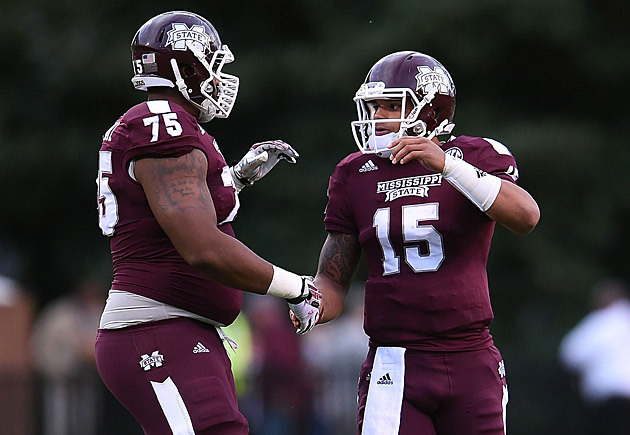 Mississippi State beat Auburn and LSU, which had quality nonconference wins (at Kansas State for Auburn and Wisconsin for LSU), and also had two quality losses (at Alabama, at Ole Miss). So, it essentially came down to the committee’s belief that Mississippi State had better wins than Michigan State. Of course, they both wound up in big-money bowls, so the ranking swap didn’t change much for those schools. There is a conspiracy theory that the committee did this to ensure the Big Ten had spots for all 10 of its bowl-eligible teams, but that’s not what the committee was thinking about. The move actually wound up affecting the ACC -- NC State wound up dropping from the Belk Bowl to the Bitcoin Bowl -- and the ACC is also represented on the committee. Before you buy every conspiracy theory, consider the fact that Power Five-on-Power Five violence would be pretty counterproductive. From @Cragg326: What is happening with all the UAB football players? Are coaches actively trying to recruit them to their schools? Yes. All the UAB players can transfer to another school and play next season, and coaches are allowed to contact them. In fact, the NCAA just issued a waiver that will allow coaches from other schools to contact former UAB players during the dead period from Dec. 15-Jan. 14. Everyone wants these guys to find new places to play football on scholarship, so the schools want coaches to have as much opportunity as possible to reach them and recruit them. From @BenCashion: Arkansas and Texas meet at 6-6 in the Texas Bowl. Which team will have more success in the next three years? These are definitely two programs on the rise, but because of resources, history and league affiliation, Texas has the much higher ceiling. The second half of this season proved Bret Bielema and Charlie Strong have their programs moving forward fairly quickly, but Bielema’s Razorbacks still have to deal with Alabama, Auburn, LSU and Texas A&M. Texas has to deal with Oklahoma, Baylor and TCU, but a winning Texas can beat or tie all of those schools in terms of wooing recruits. Arkansas will always struggle to recruit players who also have offers from Alabama or LSU (or Texas). If the Longhorns can find a dynamic quarterback, they can compete for the Big 12 title next year. Maybe that player is Jerrod Heard, who redshirted as a freshman in 2014 and who led Denton (Texas) Guyer High to Class 4A state titles in ’12 and ’13. Or maybe it’s Zach Gentry, a 6-foot-7 quarterback from Albuquerque, N.M., who will join the Longhorns in ’15. Or maybe Tyrone Swoopes will come around behind a deeper and more experienced line next fall.